In October 2017, Ennis was awarded ‘Coach Friendly Destination’ accreditation by the Coach Tourism and Transport Council of Ireland (CTTC), a representative body for Ireland’s coach touring companies and private bus operators. Ennis is one of only three towns in Ireland to have successfully achieved this accreditation, following a submission by a joint working group comprising Ennis Chamber and Clare County Council. The establishment of Friar’s Walk Coach Park, developed by the former Ennis Town Council, was a critical factor in Ennis achieving this status, but so too is the commitment made by Ennis to understand and meet the requirements not only of coach companies, but also drivers and passengers arriving into the town. On-site facilities including a drop-off / pick-up bus shelter 100m from the town centre. 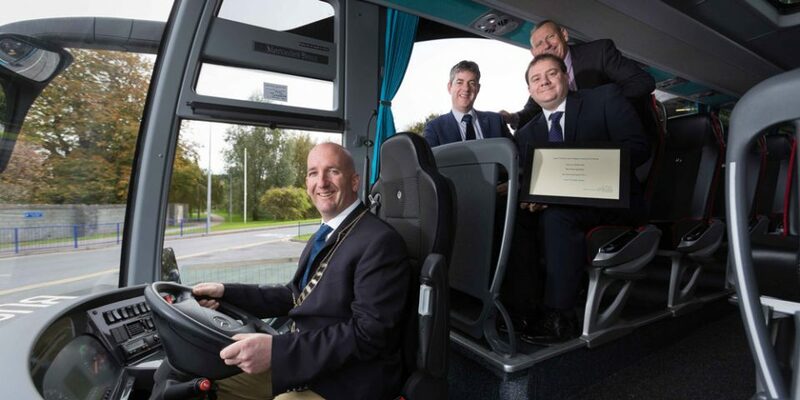 Coach Tourism is very important to the local tourism and hospitality sector, and this accreditation greatly assists ongoing efforts to encourage additional operators to Ennis.